I was doing so good at not starting another book until I posted about the previous one ….. until now. I finished Laura Lippman’s Every Secret Thing over the weekend and because it was Christmas I decided to treat myself and read Mockingjay. Finally. 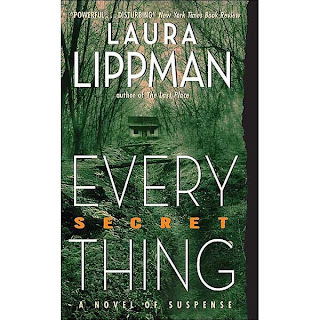 I enjoyed this book and it’s definitely one you won’t put down. The summary goes something like this . . . Two eleven year old girls, Ronnie and Alice, come across an infant, Olivia, sitting in her stroller on a front porch and decide to take her because, to them, it seems as though she has been abandoned. Fast forward seven years and the little girls, now 18, are being released from a juvenile detention center where they were incarcerated for the death of Olivia. Soon after their release, toddlers around the area go missing, some only for a few minutes and one for much longer. What unfolds in the following pages is the story of what occurred that fateful night and how many women’s lives were affected by it. I like that the story was told from the perspective of all these women, from the homicide detective who was a young police cadet when she found Olivia to Olivia's mother to a reporter covering the cases of the recent missing children. 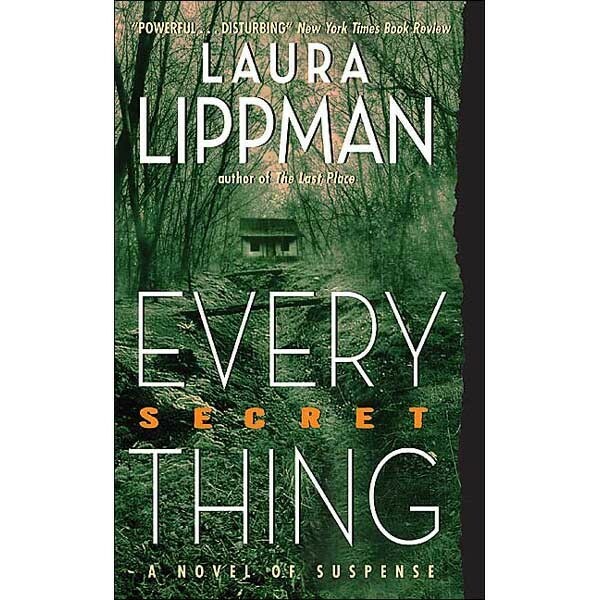 Lippman did a great job of developing these characters and showing you their deepest thoughts, some of which made me very uncomfortable. Seriously, you know those thoughts that even you are ashamed to being having and try to shake away? Well, these characters have lots of those. One part in particular that sticks in my mind is when Olivia’s mother takes notice of how unfortunate looking Alice is compared to her mother. She wonders how hard it must be for a beautiful mother to raise a child who is anything but and then she realizes she doesn’t have to wonder because she knows, well, knew. It was such a subtle but poignant part to me because at that moment you can feel her pain at thinking that her now dead child was never going to be as pretty as she is and then, automatically, thinking what kind of horrible person thinks that about your own murdered child? The book’s ending is a twist, which is nice given that this is a thriller, but it did feel kind of rushed at the end. What I didn’t like about the book was the constant problems with food and weight that the characters had. Maybe it was necessary to develop Alice’s character, but I felt as though it was incredibly repetitive for some of the other characters. And yeah, I’m nitpicking but it bugged me. And onto the next. . . As I said I’m finally reading Mockingjay!! Crazy excited to finish the series but also super sad. I always feel like I’m losing friends when I finish a good book and it’s even worse with series. So if y’all know of any good series that can help fill the hole in my heart that Katniss is leaving let me know!